Thank you to everyone who filled out the questionnaire we sent out at the end of last year. Hearing what you, our loyal tree climbers think about Goodleaf is vital to how we run our business. We really appreciate hearing your thoughts. We read all your comments and we’re delighted to announce that we’ve updated our tree climbing prices to reflect what you said. New for 2017 and for the first time ever, we’ve got one price for all – £32. You suggested it, it made sense to us, plus it will make our admin a lot easier! It means the tree climbing price for a child has gone up, but the price for an individual adult has dropped by nearly 18%. There’s more good news. Many of you asked for group tree climbing prices. 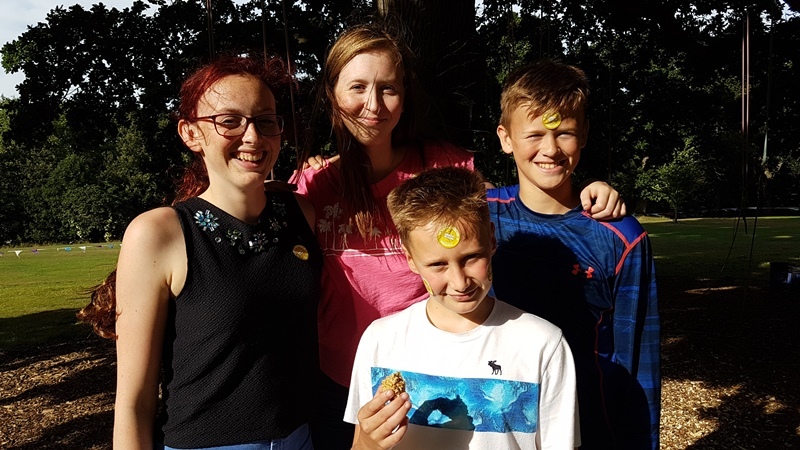 We’re delighted to say that groups of 3 or more now receive money off our two hour tree climbing experience. We’re a family of three ourselves and we wanted to offer good rate for others like us as well as larger families and groups. We are of course still offering brilliant rates and a fantastic experience for school and youth groups. It was really interesting to read your comments about what else you’d like to see. We hope to be offering some different outdoor activities in 2017 as well as a few more tree treats! Stay tuned for more details. We’d like to say thank you and happy New Year to you all. It was a great honour to read that Goodleaf is so many people’s favourite thing to do on the Isle of Wight. We’re so looking forward to another great year of tree climbing with you. And if you’re one of the lucky people who won a free t shirt, do send us a photo! PS we’re going to be running a competition on Facebook in a few weeks. The prize is amazing, so do make sure you like our page to find out more.